12 gauge, 32" Sporting, B-Fast Adjustable comb, new Steelium Pro barrels with 22" forcing cones, Optima HP choke tubes, and B-Fast weight system. Dimensions: 1 1/2" x 2 1/2" with 14 5/8" Length of Pull. Comes in Beretta Plastic case. 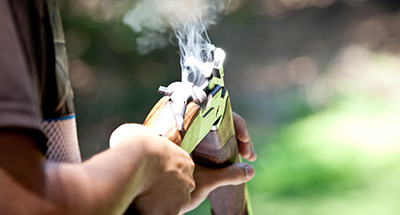 For the ultimate in hi-performance dedicated sporting shotguns, check out the SO5. This shotgun is available with the optional B-Fast comb system. This is a configuration of the buttstock that enables you to easily modify the drop and cast of the comb to suit your exact preferences. At 480mm (18.9"), the DT11 forcing cone is extra long, to practically eliminate shot deformation and to reduce felt recoil and muzzle rise. The trigger group is easily detachable for quick and trouble-free cleaning and maintenance. Also, the main parts of the trigger group are captive. Out of the box, trigger breaks at 3.5lbs for a truly crisp and consistent feel. The locking system on the DT11 is absolutely vault-like, and will remain tough even after years of competition. The new finish on the DT11 is designed to give you Italian-style elegance while minimizing glare while shooting. Optima-Bore HP choke geometry was conceived to offer the best ballistic performance available, with steel or lead shot. Thanks to its design, shot pattern remains perfectly uniform whatever the shell size or load, giving you consistency and accuracy while shooting. Optima-Bore HP choke tubes further enhance the effect. 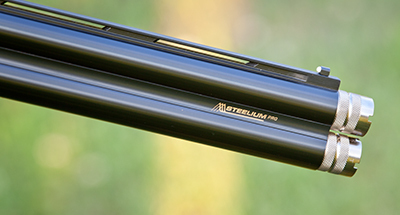 Steelium is a proprietary tri-alloy blend that Beretta uses for barrels. Among the many benefits it offers is a combination between lightness and exceptional resistance to shock and deformation. 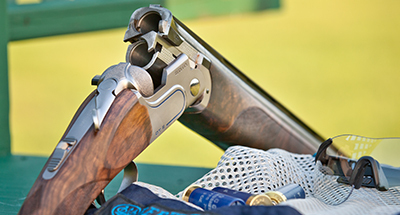 For the hunter, this means absolute shot consistency (steel or lead), accuracy and a shotgun that will give you several lifetimes of enjoyment. Compared to its predecessor (the DT10), the DT11 features a receiver full 3mm wider. In practical terms, this means additional weight placed right where the point of balance should be--resulting in more stability and pointability, and less felt recoil.